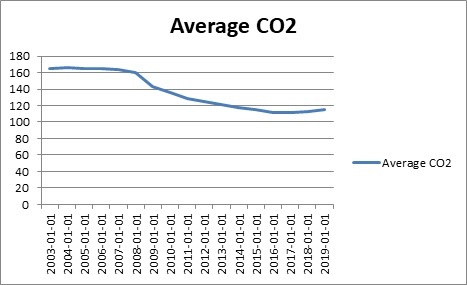 Vehicle history and data expert Cartell.ie report today (10th April) on a concerning increase in CO2 emissions. In 2018, Cartell looked at the state of CO2 emissions in the private transport sector. It had been then reported that Ireland faced a significant fine in 2020 for a “serious rise in Irish greenhouse gas emissions” – which had been partly attributed to the transport sector where emissions increased by 3.7 per cent in 2016. Cartell.ie is Ireland’s first and most comprehensive automotive data supplier providing Car History Checks to consumers and dealers. Launched in 2006, Cartell.ie is the automotive data expert providing tailored vehicle intelligence data to insurers, financiers, parts suppliers, vehicle manufacturers, and all sectors of the automotive industry. We supply data for multiple European countries such as, UK & Ireland, Spain, Portugal, The Netherlands, Malta and more. Cartell.ie is a totally independent company and fully Irish owned.